An unreleased track by Arvo Zylo is featured on a 2 year anniversary podcast from Otomo Hava. Also featured are Dave Phillips, Hari Hardman, Crank Sturgeon, Richard Ramirez, Crank Sturgeon, PBK, and many others. 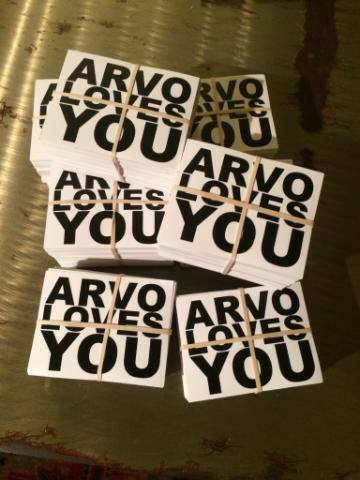 Sharlyn Evertsz's side from the split cassette with Arvo Zylo and Wyatt Howland was aired on Tabs Out Podcast. 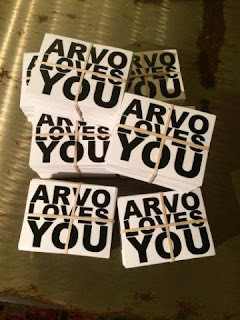 Arvo has donated a good chunk of his collection to WZRD's music catalog. Well over a thousand items are slowly being entered into this historic library. Feel free to call and request something with this sticker on it. 773-442-4578. Recent archives from this Wizard have featured Arvo's donations prominently. Arvo will be telling a ghost story on Mid Valley Mutations radio show on October 27 (event page). Arvo has in the past contributed guest podcasts to this excellent program, hosted by writer and all-around great guy Austin Rich. Arvo will be DJing halloween music at an undisclosed location on October 28th. Arvo has contributed a collage to HALZINE #10, the last of the series of art zines curated by Hal McGee.